Welcome home to this incredible 8 bedroom/8.5 bath beach home located in the prestigious and very sought after gated community of Inlet Harbour. Caesars Palace is a masterpiece with everything a homeowner or an investor could dream of. Step out the back door and your toes will be in the sand of the beautiful Atlantic Ocean. From the moment you step through the door you will see quality throughout the entire home. The home is being sold fully furnished with top-of-the-line furniture and appliances. There is plenty of room for family and friends with 4 complete master suites and 4 additional bedrooms. The chef of the family will love the fully stocked kitchen including double ovens, granite counters, and stainless steel appliances. Caesars Palace features an oceanfront pool with ample space for large groups. Every room of this home offers magnificent views that are sure to wow visitors. 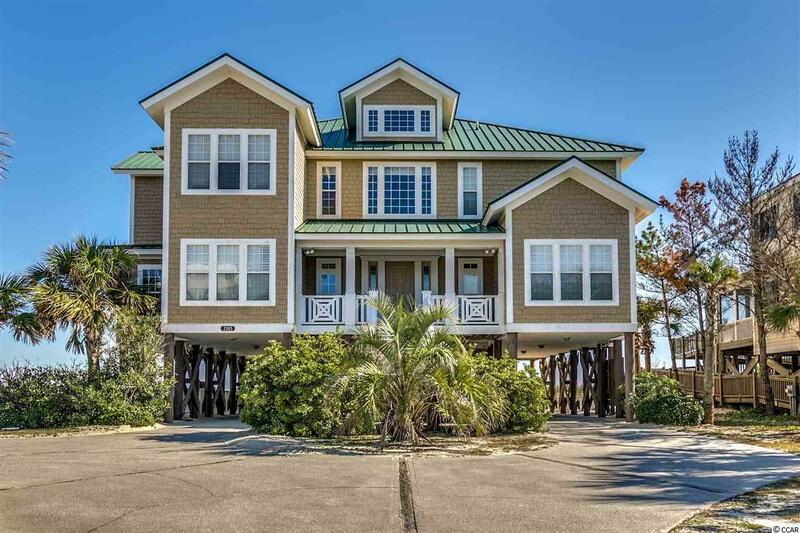 Whether you are looking for a permanent home, a vacation get-away or a great investment property, you won't want to miss this one--schedule your showing today!